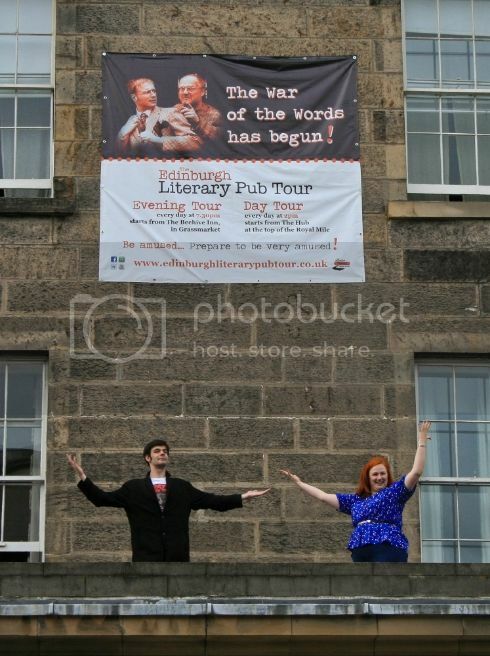 This was a special Festival season for our tour: Edinburgh saw the rise of a new literary pub tour during daylight that allowed visitors to double their chances to experience our award winning tour. Also, we literally "dressed up" the city with Clart and McBrain, with one giant banner towering above George Street (in the picture) and another one overlooking the top of the Royal Mile, in The Hub. Thank you for a great Festival and see you again pretty soon.